If you haven’t heard of “Home Performance” yet, you soon will. 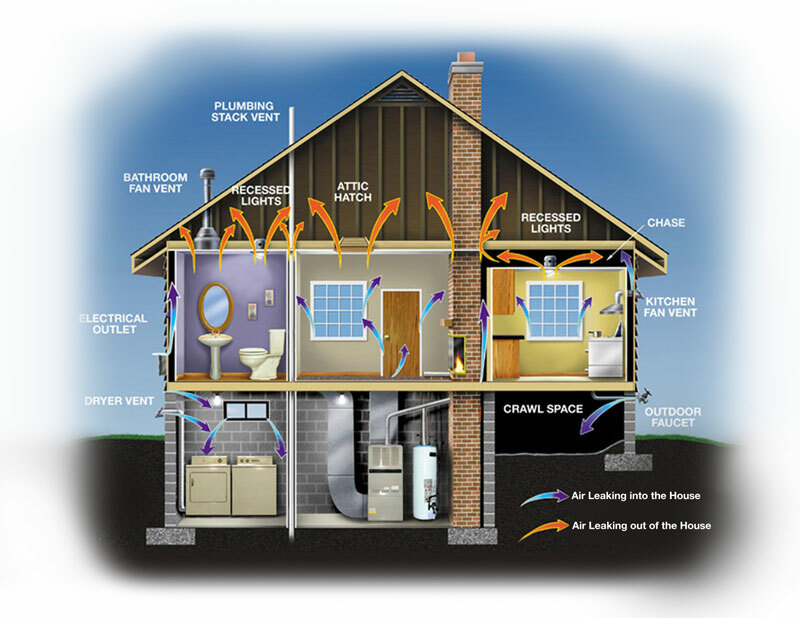 Home Performance Testing is a comprehensive assessment of a home’s heating and ventilation systems, existing shell, and its occupants to see how they interact with each other. The goal of our home energy performance testing and energy audits is to identify any potential weaknesses in the home’s performance that could contribute to poor efficiency, health or comfort. At Lightfoot Mechanical, our certified energy specialists will inspect your home to determine its score and energy efficiency rating. The information we find during our testing will help us to identify possible solutions that can contribute to improving performance and save you money on energy. Whether it is your home’s building envelope that is causing issues or your lighting that need upgrading, we will assist in finding ways to save you money and improve your home’s indoor air quality, with all that we will create an energy efficient home for you. Our qualified Comfort Consultants test for problems affecting the home’s safety, health, durability, and energy efficiency, then diagnose the root cause of any weaknesses in the home’s overall performance. We will then present a strategy to help you reduce energy loss. During the audit, we will perform an array of tests that will assist us to identify any possible performance issues and their sources. This will include discussing your personal concerns and conducting a visual walkthrough of the property to see if there are any obvious issues present. We will then proceed with more in-depth testing methods that will help to compare your home’s performance with national standards to get a clearer picture of where your property currently stands. We test several areas in the home, including appliances, the building envelope, heating and cooling equipment, ductwork and ventilation, basements and crawlspaces, and lighting. By conducting a thorough check, we can help to ensure the best possible results. Homeowners often complain about high utility bills. When you live in Texas, you know you can often be dealing with extreme temperatures. In order to keep your home at a comfortable level, you will need to use you AC or HVAC system. Of course, you want to make sure you are not using more energy than necessary to run your unit and get the temperature of your home to the right level. With our audits, you can learn about problem areas in your home that are causing inefficiencies. If your home is too leaky, then you end up wasting energy, leading to higher bills. What’s worse, you run the risk of having poor indoor air quality, risking the health of you and your family. Once you have a clear picture of your home’s overall performance, we can help to suggest changes that will contribute to increasing functioning and efficiency. This is important to improve durability and health. Whether it is DIY jobs or professional services, we can recommend the best solution for your needs. Typical home improvements include things such as sealing air leaks, adding insulation, replacing windows, upgrading lighting, appliances and water heating equipment, installing renewable energy systems, sealing ductwork, and improving heating and cooling systems. At Lightfoot Mechanical, we serve Fort Worth and surrounding areas including Weatherford, Aledo, Burleson and Granbury Texas. We pride ourselves on delivering the highest level of service, with over 30 years experience of serving customers in the area. The first step in evaluating your home’s overall performance and ensure you are getting the maximum value, comfort and energy savings from your HVAC system, building envelope and insulation, and all your duct work.